I began writing this as a Facebook status update after waking up again this week, the week leading up to Father’s Day, with heaviness. It started to get long, and then it hit me in my pre-caffeinated state that I have a blog. Duh! Father’s Day. It’s this week. It’s in just a few days. I’m sure you knew. It’s everywhere. Every advertising email reminds us to get a gift for Father’s Day. Every commercial is full of ideas for Father’s Day gifts. Even Food Network shows are offering meal ideas in abundance. Kroger even has manly food on sale. It’s everywhere. And he wrote that 10 years after losing his dad. So remember the fatherless in your life this Father’s Day. Celebrate! Enjoy your dad. Love him. Buy him a gift no matter how silly or last minute it is. Make him his favorite cake, even if it’s from a box. Tell him you love him. Take a picture with him, you probably don’t have enough. Call him. Do anything and everything you can. And when you’re done enjoying every possible moment with your dad you can, pray for us. 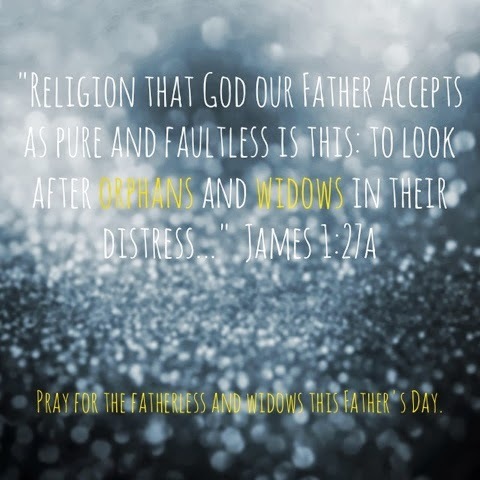 The fatherless, the widows, the ones without their sons or brothers this Father’s Day. And if my plea and words aren’t convincing enough, I’m pretty sure the Heavenly Father is okay with you thinking and praying for us too. If you’re fatherless this Father’s Day, grieve how you need to! If you need to skip church and the Father’s Day service every church will inevitably have, you have permission. Take your Bible somewhere else and spend some time with Jesus. He knows you’re hurting. Take at least a moment in the day to let the Heavenly Father love you. Cry, weep, mourn. And then if you’re up for it, remember. Remember him. Grieve how you need to! If that means being alone, it’s okay! But if you don’t want to be alone, surround yourself with people who will remember with you. I am planning a remember meal for my brother, my friend who also lost her dad this year, our friend who loves us, and myself. The whole meal will be made up of the favorite foods of my dad and my friend’s dad. There will be a lot, but my favorite plan is to make my dad’s favorite cake, German Chocolate. I’ve made it for him before, but used a box cake and pre-made icing. It’s always been a somewhat scary task, HOMEMADE German Chocolate cake, but I’m proudly taking on the challenge for him. oh Kasia, I'm just in tears reading this! my daddy's favorite cake is german chocolate with coconut icing 😉 I'll be praying for you. love to you and your family. You're the best Megan! Thank you so much for your heart. I loved this post. I know I'm late reading it but Isaid a prayer for you nonetheless. I semi can relate. Mothers Day used to be my dreaded day…I hated it and the reminders. I didn't want to acknowledge it but I wanted to honor my mom at the same time. It was hard enough that I had prayed for a kid for years but the main reason, was because I lost my baby on Mother's Day. It seemed like the cruelest of jokes. Love ya girl even though its been forever. Precious in the sight of the Lord is the death of His saints…. Kasia, thank you so much for sharing this. It’s been 11 years since my Dad died and almost 11 years that my Uncle Jack (Dads brother) who raised me died. I have trouble on the anniversaries of their deaths as well as their birthdays, Christmas and Fathers Day. I miss them both every day. But God is greater than grief. He walks with us and carries us through these valleys. He is the Father who never leaves us, no matter what.